Remember, your workspace speaks for you even when you're not there. Spring fever is expected to reach epidemic proportions this year, so take steps to be prepared before it hits too hard. Warning signs of spring fever include daydreaming, distractibility, an obsession with the weather, and a desire to run through fields of daffodils and tulips. Before the symptoms get too severe and you'll require some "necessary" PTO, make sure you've got your workspace in order. In other words: spring clean your desk! We're not suggesting you have to get all Marie Kondo on it, but tidying up your desk not only will make you look busy, it also has real workplace benefits. Career experts offer six reasons why cleaning your desk is a no-brainer when it comes to creating an organized workspace. 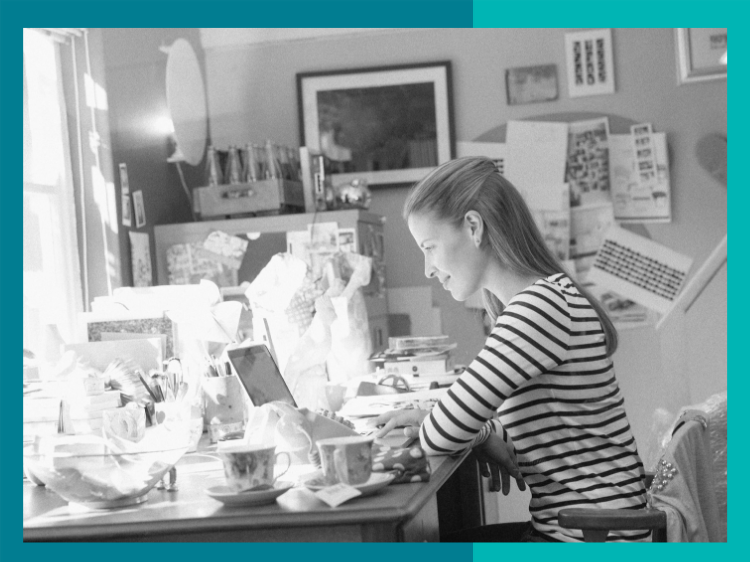 Having a tidy desk projects an image of competence, says professional organizer Seana Turner. We've all seen that co-worker's desk scattered with dirty coffee cups, food scraps, and mounds of clutter (yuck!). A professional person takes pride in his or her appearance, whether it's your outfit or your desk. Try to look at your desk from an outsider’s perspective and think about what it says about you. Knowing where things are keeps you on top of your game. “People who pile paperwork often obscure items underneath the stacks, resulting in wasted time trying to find what they are looking for,” Turner says. Filing things where they belong creates less surface clutter—and ensures you know where they’re at when you need them. Disorganized employees may even take over common spaces, such as a table in a conference room, because their desks are so cluttered. You don’t want to be that person. If you are dealing with sensitive information, leaving it sitting around on your desk can put you or your company at risk. “Stacks of visible papers cause privacy concerns in many industries, particularly healthcare,” says Melissa Gratias, owner of MBG Organizing Solutions in Signal Mountain, Tennessee. It’s difficult to prioritize your projects if you’re not organized. A messy desk is overwhelming and doesn’t tell you where to start, says professional organizer Thalia Poulos. Any interruption can throw you off your game, and if you’re always getting up to find something you need, it’s difficult to concentrate on your projects, says professional organizer Amanda LeBlanc. Sometimes the clutter on your desk isn't the only thing at work that needs to be reorganized or even discarded. Maybe it's time to spring clean your job and find something new. Need help with that? Join Monster for free and get weekly updates on job openings in your areas as well as career advice from Monster experts. As a member you can also upload up to five different versions of your resume tailored to each type of job you're interested in. Recruiters search Monster every day for new talent like you. Make sure you're visible to the people who can help you kickstart a whole new career.